Naming products can be problematic at times as I discovered when the “Electronic Business Documents” product that I worked on at Digital around 1990 was given a marketing make-over and transformed into “TeamRoute.” We then discovered that the name had a most unfortunate meaning in Australia. Unfortunately true knowledge only sank in when the audience at a DECUS conference in Sydney dissolved into a fit of giggles, much to the bemusement of the unfortunate presenter, who really just wanted to discuss how documents could be routed by email and didn’t realize just how amusing frequent references to “TeamRoute” were to his audience. In any case, Google’s new service uses both Exchange Web Services (EWS) and IMAP4 to migrate mailboxes from Exchange to Gmail. IMAP4 is very much a lowest common denominator as its fidelity and capability in dealing with the Exchange Information Store are much more restrictive than EWS. But Exchange 2003, a major source of migrations at present since Microsoft stopped supporting this version last April, doesn’t support EWS and IMAP4 is the only way that you can move information from mailboxes on those servers to Gmail. I wonder how many corrupt and unreadable items turn up when mailboxes move to Gmail and if GAMME has the equivalent of the “bad items limit” supported by the Exchange Mailbox Replication Service (MRS). The fact that MRS is happy to allow you to move a mailbox and have up to 50 corrupt items dropped (or “cleansed”) during the move without having to pass the “accept large data loss” parameter is telling in itself. Indeed, one of the very best things that MRS does is to purge lingering item corruption from mailboxes. Exchange 2013 and Exchange Online are pretty good at maintaining the integrity of the MAPI properties for mailbox items but this was not always the case in the past where items were often cheerfully corrupted by Exchange itself, mobile clients (BlackBerry and calendar items being a major culprit), and Outlook add-ins. No doubt GAMME will perform a most wonderful spring clean for any mailbox it is called upon to move. That is, of course, if GAMME is ever used in real volume. Although Google’s pricing is competitive, I personally feel that their client strategy is flawed because so many end users organize their working lives around Outlook. Things might be different if Google had a better Outlook integration than Gmail’s current IMAP4 connection, but they don’t and Outlook therefore remains a blocking factor in many instances. Some companies have moved from Exchange to Gmail and some of whom are even happy with their new email platform. There are some well-publicized examples of large organizations who have decided to switch from Exchange to Gmail, such as the case of the City of Boston that was announced in May 2013. And to be fair, that migration appears to have gone reasonably well (all migrations are painful) and has become a case study that is often cited for cloud usage in the public sector. But I don’t see many companies that I know making a similar move. If anything, the move is from Gmail to Office 365, a process that Microsoft and a host of partners will be happy to help with. There’s certainly an opportunity at present to migrate a heap of Exchange 2003 servers to the cloud, a move that makes eminent sense for any small to medium company as they’ll probably get much better service from either Google or Microsoft than they can extract from an aging and now-unsupported Exchange 2003 server. Apart from its awful name, GAMME is a good thing for Google to offer. I bet Glen Scales (master of EWS programming for Exchange) could build a GAMME equivalent in a couple of hours from the collection of EWS code snippets that he has published on his blog. Perhaps that’s where Google got some of the code ideas for GAMME? This entry was posted in Cloud, Email, Exchange, Office 365, Technology and tagged EWS, Exchange 2003, Exchange 2013, Exchange Online, Exchange Web Services, GAMME, Gmail, Google Apps, IMAP4, Mailbox Replication Service, Migration, MRS, Office 365. Bookmark the permalink. 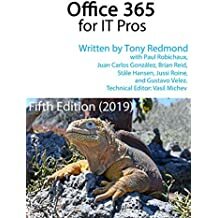 …that uses EWS and IMAP to manage and execute content migrations between various versions of Exchange, O365, Google, Domino, and other systems. 1. The new service is the data migration service (let’s call it DMS for short), and as the page you linked to says, “The Admin console data migration service lets you migrate your users’ email to Google Apps without installing a client like Google Apps Migration for Microsoft Exchange (GAMME)”. GAMME is the the client-side tool (which is also still being developed), and has been there for a few years now, It can be used to migrate from Exchange 2003 as well (it uses MAPI). 2. With both GAMME and DMS, if some messages fail to migrate, the admin can see a report listing those messages. Remember that it doesn’t move or delete the messages in the source mailbox anyway, so nothing can be lost. 3. There is a Google-provided Outlook plugin to sync Gmail (as well as calendar, contacts, tasks, and notes) to Outlook: https://tools.google.com/dlpage/gappssync. Like GAMME and DMS, it’s free, and only available for Google Apps customers (except for the free edition).